For the past few years Dairy Queen has feature their Pumpkin Pie Blizzard as their “Blizzard of the Month” for October. DQ describes this yummy treat as “Pumpkin Pie blended with vanilla soft serve, crowned with whipped topping and nutmeg.” It is one of my very favorite Blizzard flavors, and I am sad every year when it goes away. I had some pumpkin left from making Pumpkin Whoopie Pies, so I decided to make my own version of DQ’s Pumpkin Pie Blizzard. I think it tastes just like DQ’s! If you have extra pumpkin, give this a try! A knockoff of DQ's Pumpkin Pie Blizzard. 1. Use a blender or immersion blender to process the pumpkin, ice cream, and pumpkin pie spice until smooth.2. Add the vanilla wafers, being careful not to over process.3. Pour into 16 oz. cup, top with additional vanilla wafers and whipped topping, then sprinkle grated nutmeg over the top. Oh my gosh! I must have this!!!! Too fun, Jill! I love making things like this at home rather than going out for them. It sounds scrumptious! Oooooh ,yum ,yum , sounds super delicious , I so wanna try it . Have a great weekend Jill :D.
What a yummy treat! Seasonal food is fun, but you're right - it's disappointing when it's gone. I heart this! I can't believe I've never had a Pumpkin Pie Blizzard, but I love pumpkin and I know they have to be amazing! I'm going to have to make my own soon!! 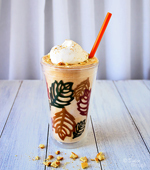 I've never had Pumpkin Pie Blizzard...it looks so incredibly super yummy, creamy, and now I'm craving for it! Gotta try it! I would love to drink a pumpkin pie blizzard. Looks so good. Yum factor. Looks yummy! Just in time for the fall season! Awesome....looks just right and I bet everyone you make this for just LOVES it! Jill, your wicked posting this, it's fall here but still in the 80's so one of these would go down well right now.. This almost sounds too easy, meaning I can make them over and over again. I feel the extra pounds creeping up! Holy wow! Thank you for another reason to love pumpkin season! How could these be anything less than spectacular? Forget about the pumpkin pie and breads...I want your blizzard!!! I want to have this too! Looks divine! Yummers! Love the photo too!!! I LOVE BLIZZARDS! Just one question though....do you have a drive-thru? ;- ) This looks fabulous! I've never had the DQ Blizzard but this sounds fantastic. So what would be considered over processing the wafers and what happens if you do? I have all these ingredients at home. I will try this soon. YUM! @Vicki--you want the the wafers to remain chunks in the ice cream, not be so finely ground up that you can't taste them. Nothing will happen if you over-process, but you won't have the effect crunchy pieces of "pie crust" in the ice cream. Whoa! Totally frapping bookmarked! Niiiiiice! 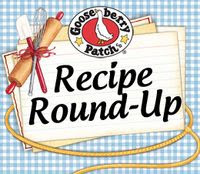 I love that you cracked their recipe and that it also sounds kinda healthy, which eliminates some of the quilt for me! Thanks! I always have extra pumpkin in my fridge this time of year. And this is the perfect use! This sounds amazing. My daughter and I love trying different pumpkin recipes during this time of year. I can't wait to give this one a try. Thanks for the delicious looking recipe. I can't wait to try it. I had my 1st pumpkin pie blizzard of the season last night -- it is my all time favorite! Glad to discover a make it at home recipe!!! Ooooh, I LOVE pumpkin pie blizzards and get so excited when DQ gets them in each year. What a great idea to make your own! Love it! Oh, i thought I'm the only one that craves DQ Pumpkin Pie Blizzard. Now, thanks to you I can enjoy it year round! Thanks Jill! Yum. I love DQ's Pumpkin Pie Blizzard! I can't wait to try this!!! And eat it all year long! MADE IT. very very good. thank yku. I go to DQ every year for a Pumpkin Pie Blizzard, but I missed it this year! I figured I could probably make one, and that someone out there has probably already done a great job of it. That someone is you! Thanks for posting this, Jill. You ARE the Dairy Queen!